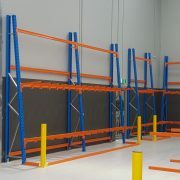 Front stop: A front stop is provided to create a barrier for the contained goods. 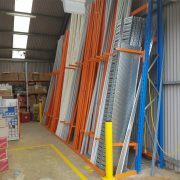 This helps prevent the goods from sliding forwards from the rack. 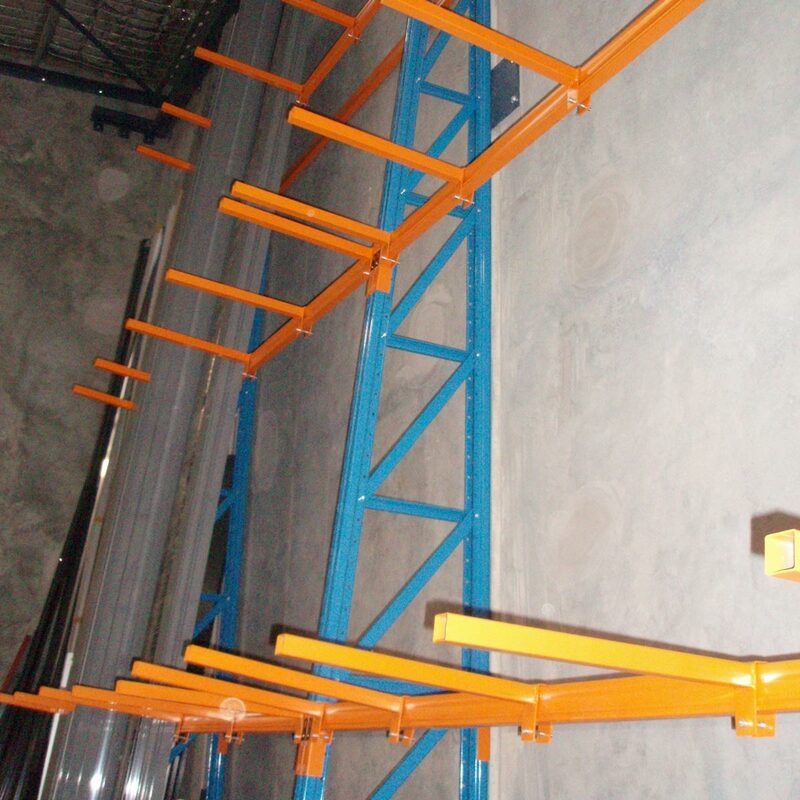 Vertical Raking is also commonly known as A-frame racking. 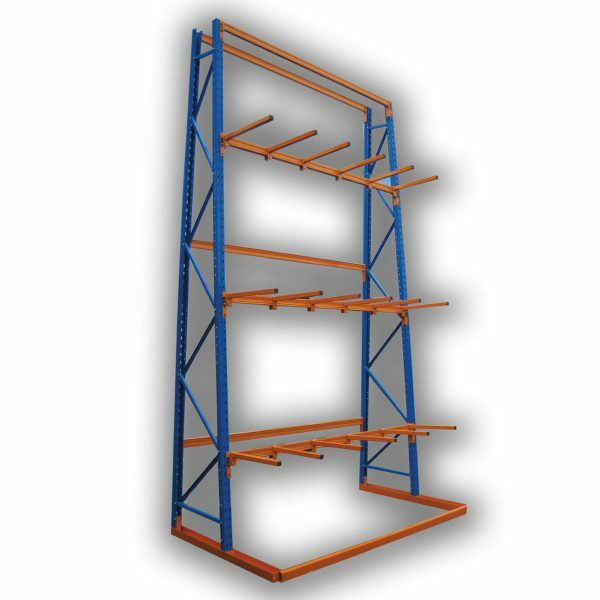 This storage system is perfectly designed for long products that can stand vertically on its end. 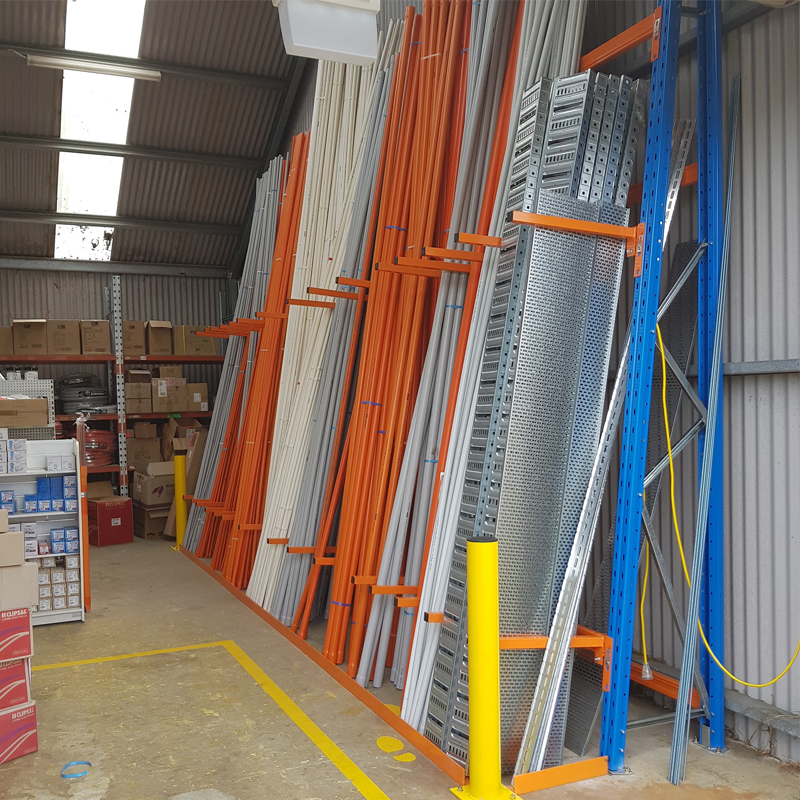 Minimising the need for floor space. 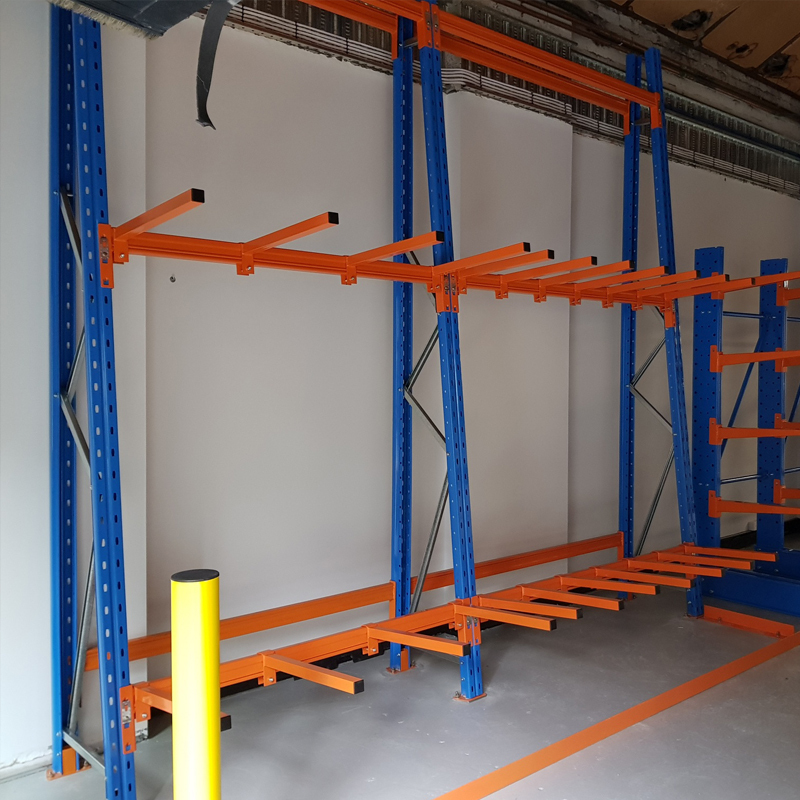 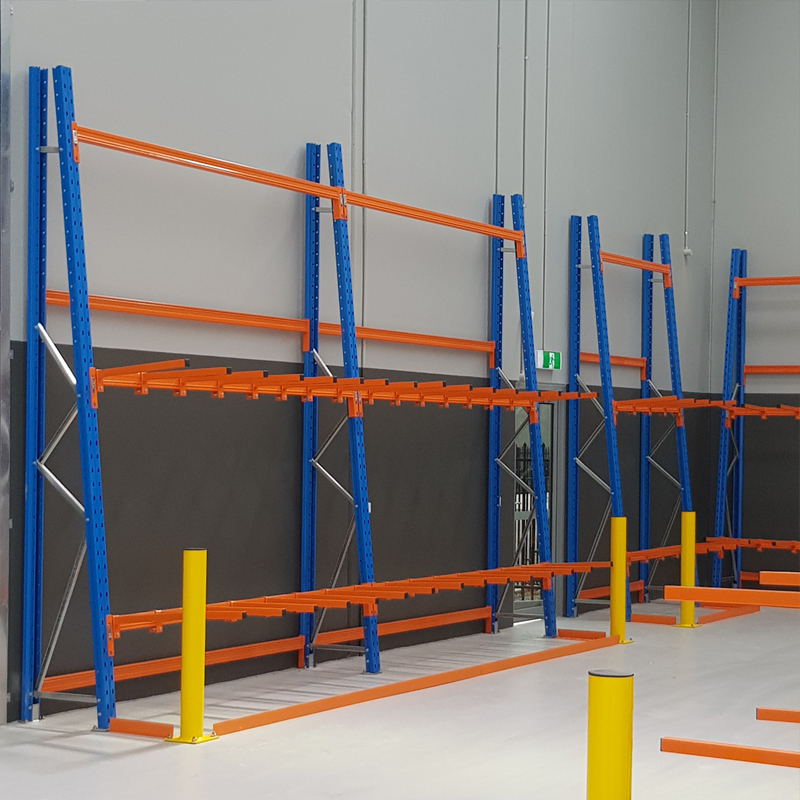 Available in both a single and double-sided configurations, the vertical rack system allows you to maximise the storage area in your warehouse. 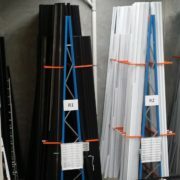 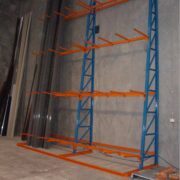 Single-sided racks works perfectly along a wall, whereas the double-sided is best suited out in the open warehouse space. 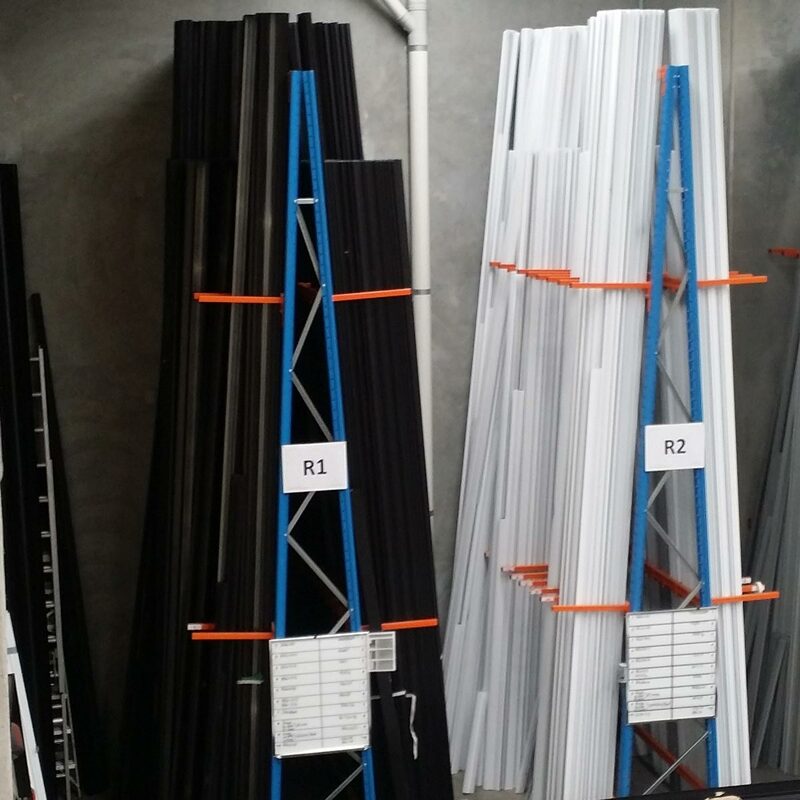 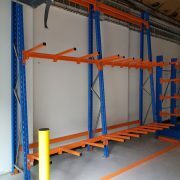 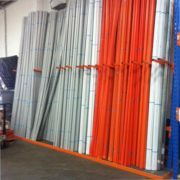 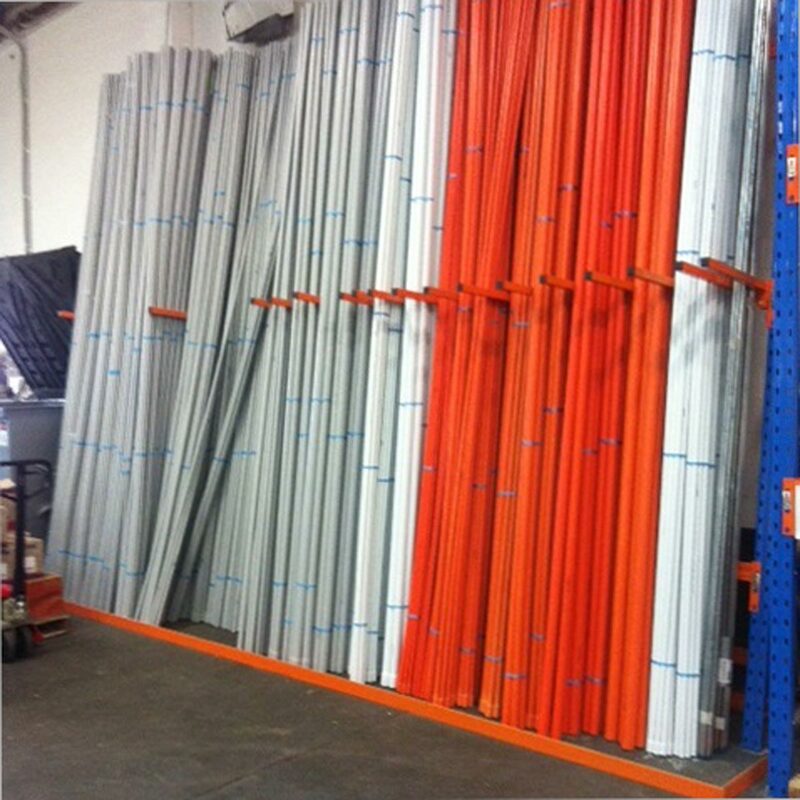 We mainly offer the vertical racking in two lengths 1372mm and 2591mm. 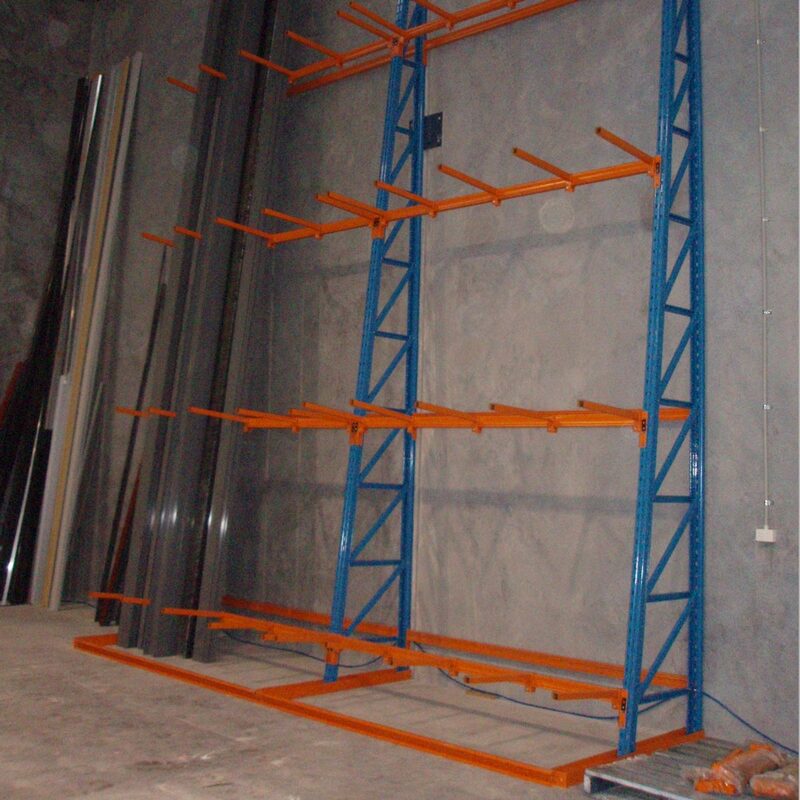 The floor stop is made to these sizes, creating a barrier and preventing any of your goods from sliding forward. 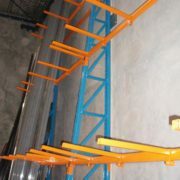 700mm long hose hanger that can hold up to 60kgs UDL per hanger.